Flip All The Pronouns « blarg? Maya and I have been playing through Windwaker together; she likes sailing, scary birds and remembering to be brave, rescuing her little brother and finding out what’s happening to Medli and her dragon boat. She’s the hero of the story, of course. and then you’ll need to figure out how to use xdelta3 to apply a binary patch to that image. 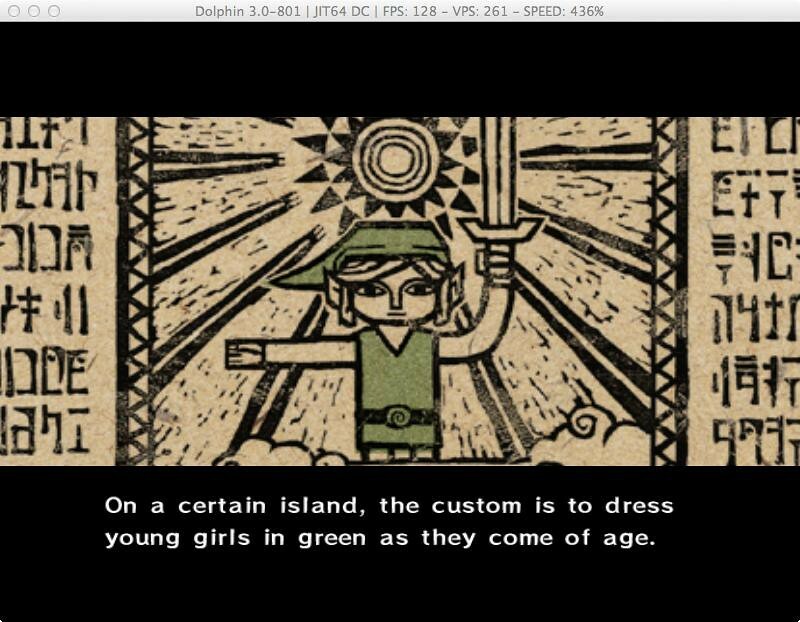 … and all the dialog will now refer to Link as a young woman, rather than as a young man. I think I’ve gotten this right – this was all done directly on the original disk image with a hex editor, so all the changes needed to be the same byte-for-byte length, in-place. I haven’t had time to play through the whole game to test it yet, and some of the constructions aren’t perfect. I’ve borrowed Donaldson’s “Swordmain” coinage to replace “Swordsman”, for example, and there’s lots of “milady” replacing “my lad” and “master”, because I couldn’t find a better way to rewrite them in exactly the amount of space allotted. If you come up with something better, I’m all ears. I’m going to audit it shortly, and may update this post to reflect that. For now, though, here you go. FemLink or you’re doing it wrong. That, right there, is the best answer to all of the negative comments that you could possibly give. And the fact that there are negative comments among the praise is actually good, because it means you’ve done something important that might actually make a difference. As a father of two young girls (and an older boy), I can’t tell you how impressed I am with what you’ve done. When I’m reading to the girls, I sometimes swap the genders of characters in the stories, but now the eldest girl can read fluently herself things like this can go a long way. Apart from anything else, it will show her how stories (and stereotypes in general) are just things that were made up by people, and that just because one person thinks that a hero should be male doesn’t mean that other people can’t come along and challenge those assumptions.